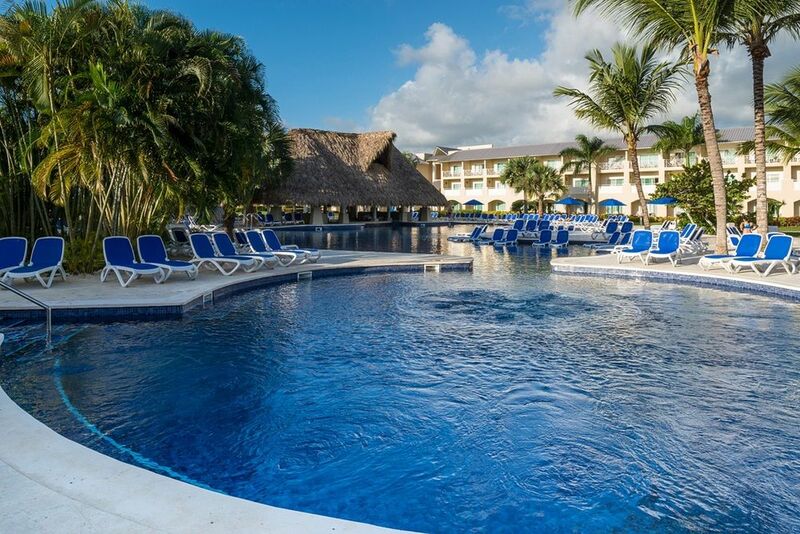 The all-new Grand Memories Punta Cana is located only a short walk away from one of the most pristine and beautiful stretches of Bavaro Beach. 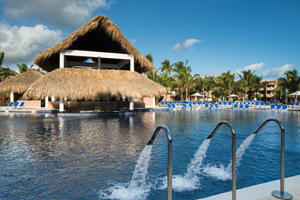 Grand Memories Punta Cana is perfectly situated in a lush tropical setting, offering a new concept in all-inclusive resorts with unparalleled service and deluxe accommodations that perfectly fit into the genuine and magical ambiance of the Caribbean coast. 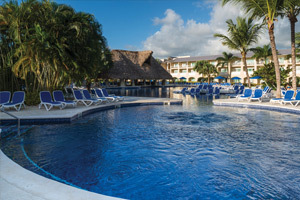 Grand Memories Punta Cana offers the savvy traveler access to a beautiful beach, golden sand, and an abundance of accommodation options with high-quality amenities. 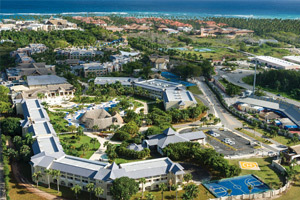 Grand Memories Punta Cana caters to both couples’ and families’ unique vacation needs. With diverse dining options, indulge in the romance of the Mediterranean at the resort’s Italian à la carte restaurant, which offers the perfect ambiance for special occasions and celebrations, or embark on a thrilling seafood adventure at the popular restaurant ‘Under The Sea’. 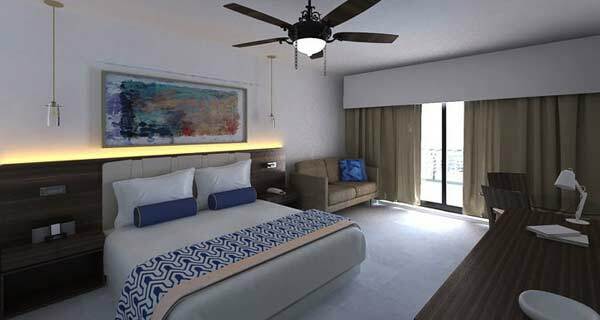 All 252 Junior Suites and Suites at Grand Memories Punta Cana include balcony or terrace, 24-hour room service, satellite TV, Bluetooth audio station, Wi-Fi, stocked mini-bar, coffee and tea maker, electronic safe, iron and ironing board, and a hairdryer. We understand the importance of offering additional services to our guests who stay at Memories Resorts, and we do our best to fulfill our guests’ requirements in every way possible. We believe in going above and beyond to exceed guests’ expectations, and are pleased to offer the following additional features and services at an extra cost. 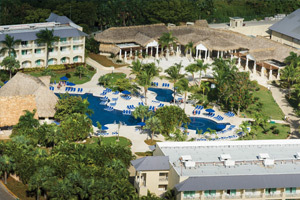 Spa ($) Get primped and pampered at the luxurious spa, located in close proximity to the resort. This faculty features men’s and women’s change rooms, a large selectin of spa therapies, massages, beauty salon treatments, a boutique, hot Jacuzzi, cold plunge, as well as saunas and steam rooms for ultimate relaxation. Golf Bonus ($) Enjoy special, discounted Greens Fees at the Punta Blanca Club Golf Course designed by Nick Price. Play a round or two at this 18-hold championship par 72 golf course. Mandatory golf cart not included. Medical Center ($) Medical services are offered on site. Please contact our staff at the reception area for more information on additional services. 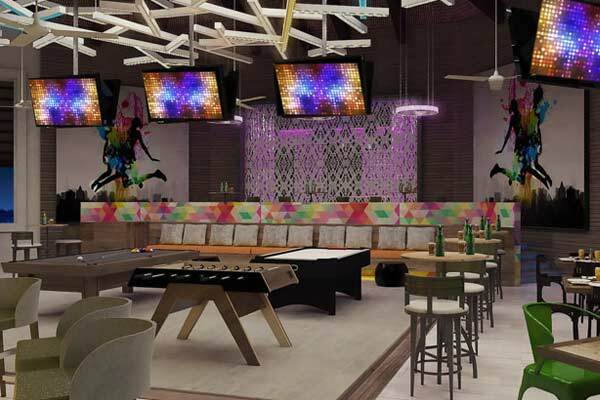 Arcade ($) Experience the ultimate interactive, virtual and entertainment center for energetic guests. Extra Services ($) Motorized Water Sports, Gift Shop & Logo Shop, Photo Gallery, Conference Facilities, Baby Sitter, Events and Activities for Groups, Laundry, Selection of Premium drinks, Spa, Tours, Medical Services and Casino with Slots. Unique family features include a supervised Kids Club for ages 4-12, a Teens Lounge for ages 13-17, and great on-site activities on the Water Park. Daily activities for all ages, non-motorized water sports and top notch nightly entertainment will keep everyone occupied. 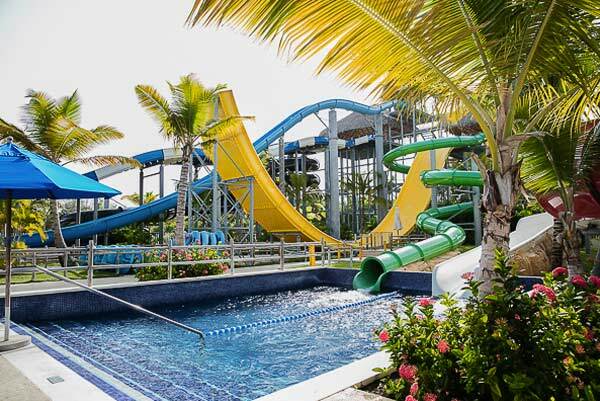 Enjoy unlimited access to one of the largest on-site water parks in the Caribbean. 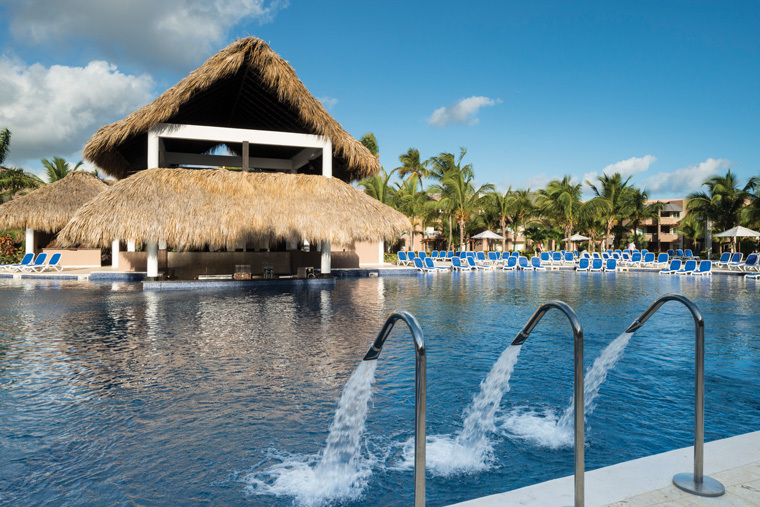 The on-site water park designed exclusively for guests is a great way to spend the day. 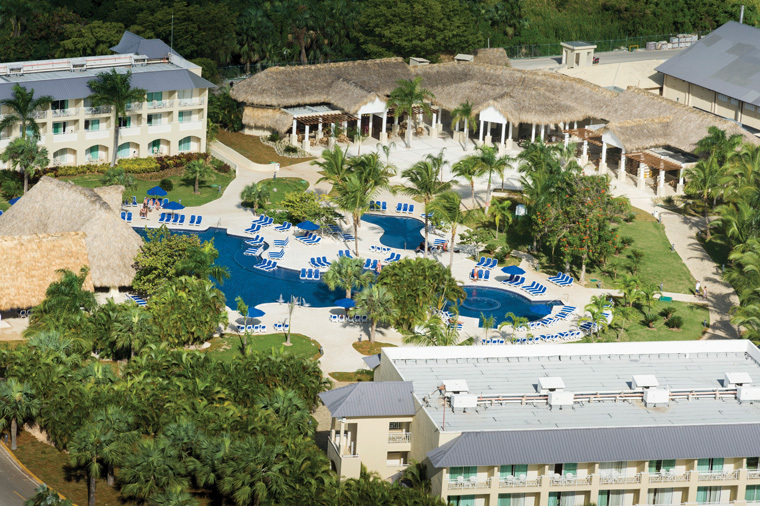 Frolic in our wave pool, 7 monster slides, tubes, splash pads and spray grounds, or just float around in our crystal clear pools or savour a non-alcoholic drink poolside. 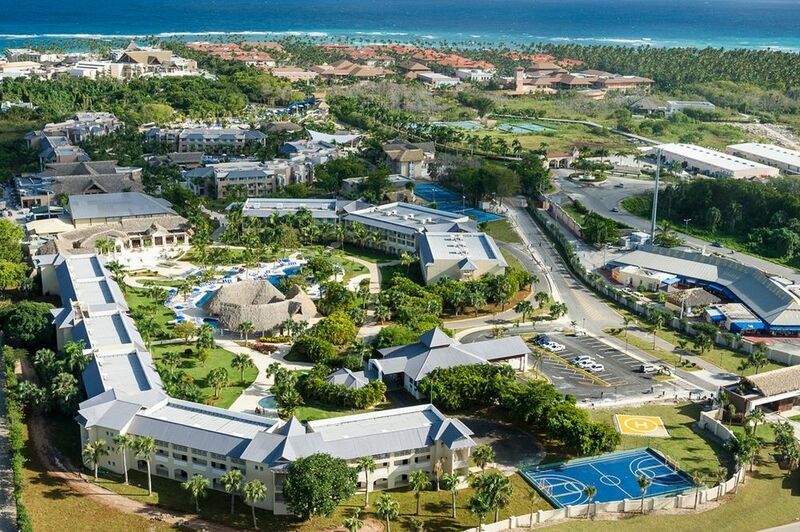 Stay healthy and active during your vacation, and take full advantage of our facilities at neighboring resort, Royalton Punta Cana. Featuring modern Live Fitness equipment, this resort has everything you need to maintain your fitness regime while away from home. Outside of the gym, get moving with our onsite fitness instructors, offered to you at no additional cost. Find a partner and make an appointment to use our onsite tennis court. Don’t have a partner? No problem, Grand Memories has tennis instructors who are ready for the challenge. Outside of the gym, get moving with our onsite fitness instructors offered to you at no additional cost as part of your experience. 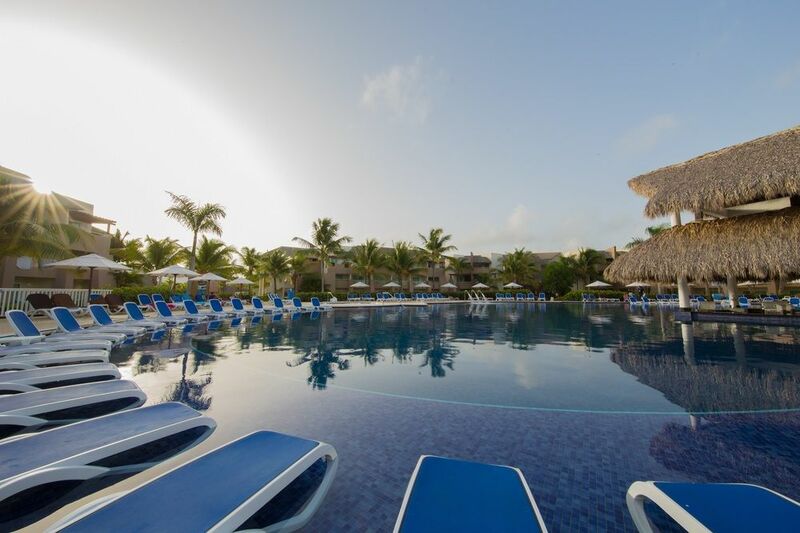 Take your workout beyond the gym with the variety of non-motorized watersports at Grand Memories Punta Cana. Replace a cardio routine with an afternoon of kayaking or beach volleyball to create a little more excitement, and exercise while meeting new people. 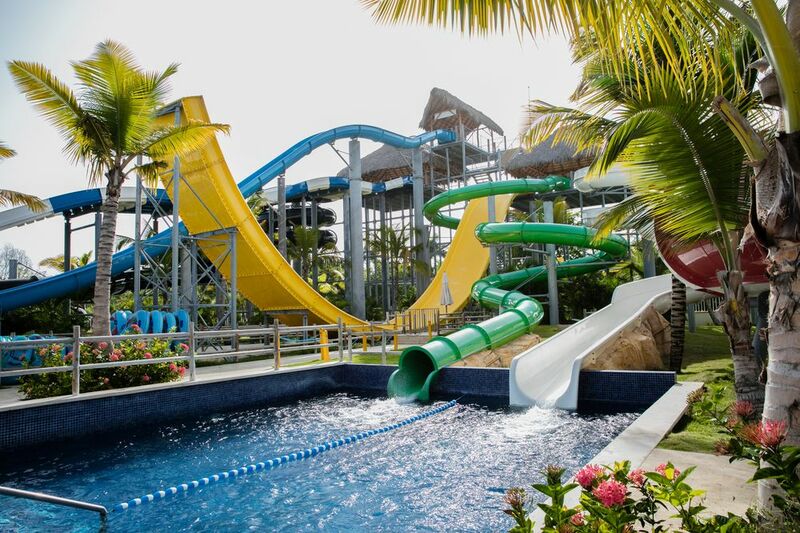 The on-site water park designed exclusively for guests is a great way to spend the day. Frolic in our wave pool, 7 monster slides, tubes, splash pads and spray grounds, or just float around in our crystal clear pools or savour a non-alcoholic drink poolside. 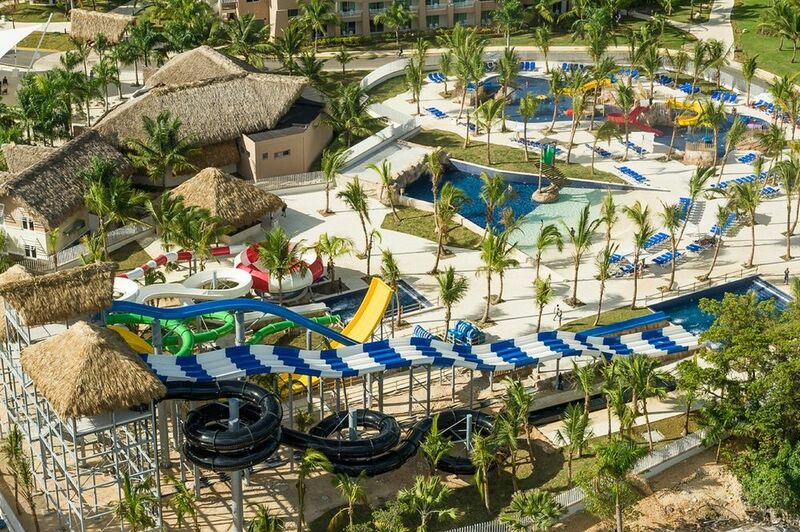 Enjoy unlimited access to one of the largest on-site waterpark in the caribbean.